This report outlines the discussions from the first national roundtable on responding to violence against culturally and linguistically diverse (CALD) women and their children. 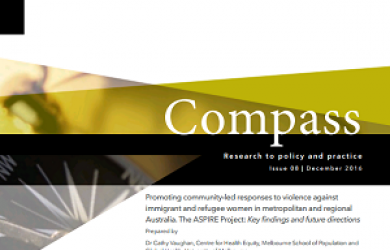 This report presents the current knowledge about family violence against immigrant and refugee women in metropolitan and regional Australia. The report covers published and unpublished studies, reports, evaluations and policy papers.